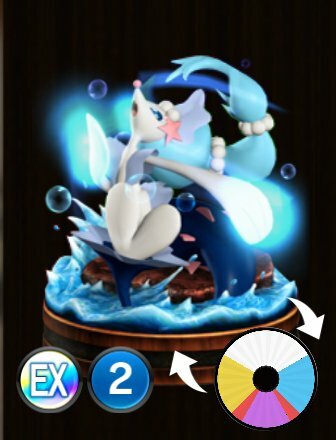 Special Ability: Open Sea Singer - If this Pokémon is not affected by a special condition, while this Pokémon is on the field, the effect of Round becomes: Damage is multiplied by the number of your own Pokémon on the field that also have Round or Sing. 20 Balloon Flight Blue In this Pokémon's next battle, it cannot be knocked out. 96 Twinkle Tackle Purple Z-Move Moves the battle opponent to the bench ?? ?